The valve is seen on the left, and a bland vegetation is seen on the right. 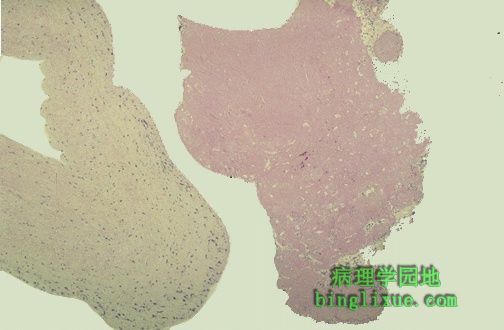 It appears pink because it is composed of fibrin and platelets. It displays about as much morphologic variation as a brown paper bag. Such bland vegetations are typical of the non-infective forms of endocarditis.